On the morning of 21 September 1966, a Pan Am airliner from New York landed at Heathrow, carrying among its passengers a black American musician from a poor home. Barely known in his own country and a complete stranger to England, he had just flown first class for the first time in his life. His name was James Marshall Hendrix. On 18 September 1970, four years later, I picked up a copy of London’s Evening Standard on my way home from school, something I never usually did. There was a story of extreme urgency on the front page and a picture of Hendrix playing at a concert – still ringing in my ears – at the Isle of Wight festival, only 18 days earlier. The text reported how Hendrix had died that morning in a hotel in the street, Lansdowne Crescent in Notting Hill, in which I had been born, and a block away from where I now lived. During those three years and 362 days living in London, Hendrix had conjured – with his vision and sense of sound, his personality and genius – the most extraordinary guitar music ever played, the most remarkable sound-scape ever created; of that there is little argument. Opinion varies only over the effect his music has on people: elation, fear, sexual stimulation, sublimation, disgust – all or none of these – but always drop-jawed amazement. The 40th anniversary of Hendrix’s death next month will be marked by the opening of an exhibition of curios and memorabilia at the only place he ever called home – a flat diagonally above that once occupied by the composer George Frideric Handel, on Brook Street in central London, in the double building now known as Handel House. The flat will be opened to the public for 12 days in September and there is talk about plans for a joint museum, adding Hendrix’s presence to that already established in the museum devoted to Handel. Involved in the discussions is the woman with whom Hendrix furnished the top flat of 23 Brook St, and with whom he lived: the only woman he ever really loved, Kathy Etchingham. 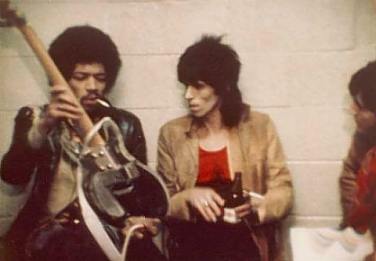 When she met Hendrix (the same night he landed in London), he had already lived an interesting, if frustrating, 23 years. He was born to a father who cared, but not greatly, and a mother he barely knew – she died when he was 15 – but adored (she’s said to be the focus of two of his three great ballads, “Little Wing” and “Angel”). He had always been enthralled by guitar playing – a “natural”, immersed in R&B on the radio and the music of blues giants Albert King and Muddy Waters. When he was 18, he was offered the chance to avoid jail for a minor misdemeanour by joining the army, which he did, training for the 101st Airborne Division. 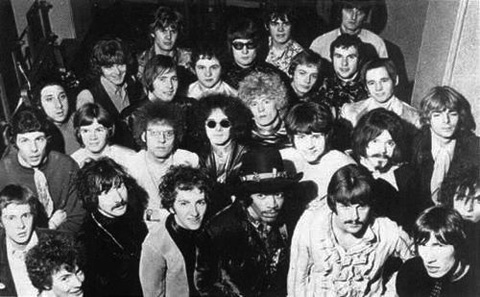 Hendrix engineered his discharge in time to avoid being mobilised to Vietnam and worked hard as a backing guitarist for Little Richard, Curtis Knight, the Isley Brothers and others. But, arriving in New York to try and establish himself in his own right, Hendrix found he did not fit. The writer Paul Gilroy, in his recent book Darker Than Blue, makes the point that Hendrix’s life and music were propelled by two important factors: his being an “ex-paratrooper who gradually became an advocate of peace” and his “transgressions of redundant musical and racial rules”. Hendrix didn’t fit because he wasn’t black enough for Harlem, nor white enough for Greenwich Village. His music was closer to the blues than any other genre; the Delta and Chicago blues which had captivated a generation of musicians, not so much in the US as in London, musicians such as John Mayall and Alexis Korner, and thereafter Eric Clapton, Peter Green, Jeff Beck and Jimmy Page among many others. As luck would have it, the Brits were in town and Linda Keith, girlfriend of the Stones’ Keith Richards, persuaded Chas Chandler, bass player of the Animals, to go and listen to Hendrix play at the Cafe Wha? club in the Village. Chandler wanted to move into management and happened to be fixated by a song, “Hey Joe”, by Tim Rose. It is strange, tracking down Hendrix’s inner circle in London. His own musicians in his great band, the Experience – Noel Redding and Mitch Mitchell – are dead. Likewise, his two managers, Chandler and Jeffery, and one of his closest musician friends, the Rolling Stone Brian Jones; the other, Eric Burdon of the Animals, declined to be interviewed. But some members of the close-knit entourage are still around, such as Kathy Etchingham and Keith Altham, wearing a flaming orange jacket befitting the time of which he agrees to speak, in defiance of a heart attack only a few days before. “A short while later,” recalls Altham, “Chas took me to hear him at the Bag O’Nails club [in Soho] for one of his first proper gigs, turned to me and said, ‘What’ya think?’ I said I’d never heard anything like it in all my life.” At a concert in the same series, remembers Garland, “Michael Jeffery put an arm round Chas, another round me and said, ‘I think we’ve cracked it, mate.’” They had: Kit Lambert, according to Altham, literally scrambled across the tables to Chas at one of the shows and said, “in his plummy accent”, he had to sign him. Chas needed a record contract, Decca had turned Hendrix down (along with the Beatles) and Lambert was about to launch a new label, Track Records, with interest from Polydor: “The deal was done, on the back of a napkin,” says Altham. 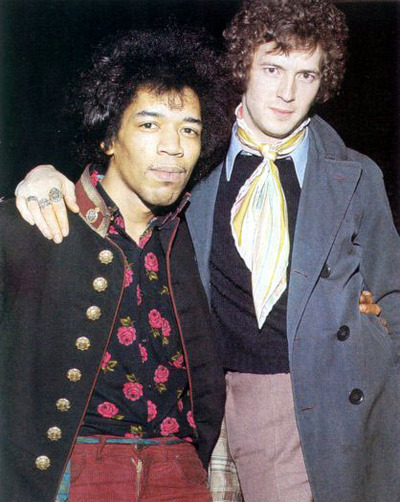 Hendrix had formed his band at speed: a rhythm guitarist from Kent called Noel Redding – who had applied to join the Animals but to whom Hendrix now allocated bass guitar – and Mitch Mitchell, a jazz drummer seeking to mould himself in the style of John Coltrane’s great percussionist, Elvin Jones. With a stroke of genius, Jeffery came up with the only name befitting what was to follow: the Jimi Hendrix Experience. Is there any line in rock’n’roll more assuredly seductive as: “Are you experienced?/ Have you ever been experienced?/ Well, I have” (from 1967’s “Are You Experienced”)? Paul McCartney, John Lennon and the other Beatles quickly converged to hear this phenomenon, along with the Stones and Pete Townshend. Arriving one night at the Bag O’Nails, Altham met Brian Jones “walking back up the stairs with tears in his eyes. I said, ‘Brian, what is it?’ and he replied, ‘It’s what he does, it chokes me’ – only he put it better than that”. With a reputation, a recording contract and the adoration of his peers, Hendrix was allocated a flat belonging to Ringo Starr, in Montagu Square, in which he lived with Etchingham, Chandler and Chandler’s Swedish girlfriend, Lotta. It was not ideal, but base camp for an initial tour – as opening act for Cat Stevens and Engelbert Humperdinck, with the Walker Brothers topping the bill. Touring ran concurrent with work in the studio – first the singles: “Hey Joe”, the inimitable “Purple Haze” and “The Wind Cries Mary”, written for Kathy when Hendrix was left alone at home after she had stormed out from an argument, so the story goes (Mary is her middle name). “I never realised quite how hard he worked,” says Sarah Bardwell, director of the Handel House Museum, researching her new charge. The Experience would finish a concert up north, drive south, record between 3am and 9am, then return north for two more shows each day. LSD had yet to play a major role – if the Experience were on amphetamines, it was to keep the schedule. But the soundscape unique to Hendrix, pushing the technology to its limits, was not serendipity, nor was it only about Hendrix’s genius: there was science behind the subliminal magic. “This was not ‘psychcolergic’, as Eric Burdon used to call it,” says Garland. 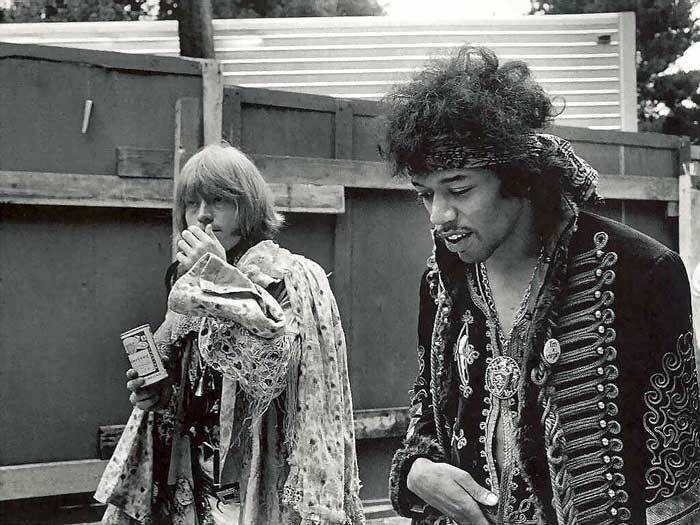 “Hendrix knew exactly what he was doing.” And this process began with a man called Roger Mayer. “We started from the premise that music was a mission, not a competition,” says Mayer, who describes himself as a “sonic consultant” to Hendrix. “That the basis was the blues, but that the framework of the blues was too tight. We’d talk first about what he wanted the emotion of the song to be. What’s the vision? He would talk in colours and my job was to give him the electronic palette which would engineer those colours so he could paint the canvas. “Let me try to explain why it sounds like it does: when you listen to Hendrix, you are listening to music in its pure form,” he adds. “The electronics we used were ‘feed forward’, which means that the input from the player projects forward – the equivalent of electronic shadow dancing – so that what happens derives from the original sound and modifies what is being played. But nothing can be predictive – it is speed-forward analogue, a non-repetitive wave form, and that is the definition of pure music and therefore the diametric opposite of digital. Everyone knows that Hendrix had hundreds of women, often concurrently – but that is not as interesting as the fact that, says Altham, “Kathy Etchingham was the love of his life”. Mayer recalls them “oozing affection, even when there was a row – he needed her very badly indeed”. 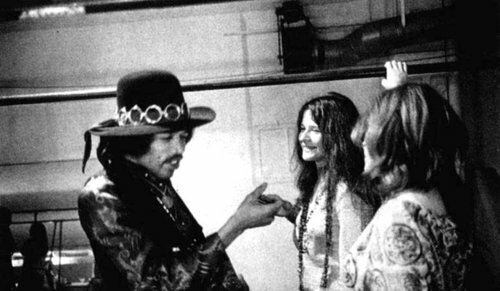 Hendrix called the flat into which he moved with her in 1968 “the only home I ever had”. It feels extraordinary now to walk over the venerable floorboards past a replica of Handel’s harpsichord, portraits of the composer and the score of Messiah in the room in which it was composed, then up a wooden staircase to Hendrix’s whitewashed sitting room and bedroom above. Sarah Bardwell’s aim is for a joint Handel-Hendrix house museum of some kind. Blue English Heritage plaques accompany each other on the wall outside; Hendrix was added in 1997, a labour of devotion by Kathy Etchingham, who recalls English Heritage balking at the fact that the shop front below was a lingerie shop, “all mannequins wearing suspenders and knickers”, which needed covering up while the plaque was unveiled. But many of those who comprised Hendrix’s inner circle in London now talk about some demise in his mental agility once he became popular in his native US, a mass commodity caught between the triangle of his own “racially transgressive” music, his blackness and the black power movement, and his overwhelmingly white audience. Even then, though, Hendrix closed the 1969 Woodstock festival with a version of “The Star-Spangled Banner”, which became the anthem for both the movement against the war in Vietnam and Hendrix’s own complicated empathy with the young American fodder sent to fight it, as a former military man himself. Many of his childhood friends were over there, some never to return. The anthem made Jimi famous worldwide, veering into a vortex out of which emerged “Purple Haze”, a glorious, lyrical dirge – for something, for everything; an endpiece not only to Woodstock but to so many dreams. “Chas Chandler would come into the studio and find two women in his chair,” recalls Tappy Wright. “’Get out of my chair!’ he’d say. And then, well, there were drugs, drugs, drugs. I never took any, because I had to make sure everyone got out of bed in the morning – but they were around, too much around.” Altham says that Chandler told him “that he gave Jimi an ultimatum: ‘Either I go or the hangers-on go.’ But there was no getting rid of them, so Chas quit and Jimi was left with Michael Jeffery”. It had been a long weekend on the Isle of Wight and, for me, an exciting one. I was compelled – not disgusted, as is the official history – by the determination of French and German anarchists to tear down the fences so that it be a free festival. I loved the fact that Notting Hill’s local band, Hawkwind, played outside the fence in protest at the ticket prices. The strange atmosphere added to the climactic moment, after the Who and others: the one set, at 2am on the Monday, for which it was imperative to get down from among the crowds on Desolation Row and force a way right to the front and concentrate or, rather, submit to hypnosis. The set by Jimi Hendrix. It is written in the lore of Hendrixology that this was a terrible performance. 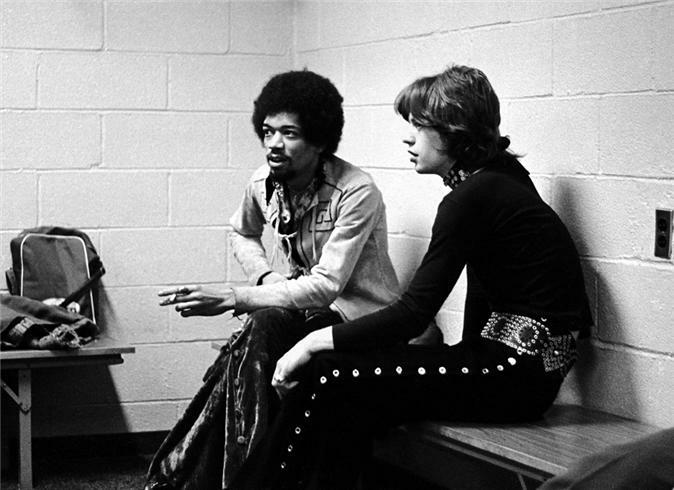 Hendrix had arrived exhausted, by the previous month’s events, the upcoming tour, the day’s violence and by walkie-talkie voices that somehow made their way into the PA system. But all I remember, having just turned 16, is a dream coming true: the greatest rock musician of all time (one knew this with assurance) dressed in blazing red and purple silks, actually playing the version of “Sgt Pepper’s” about which I had read so much in NME, playing “Purple Haze”, “Voodoo Chile” and a long, searing “Machine Gun”, just yards away. I remember the sound – the sounds, plural – bombarding me from the far side of some emotional, existential, hallucinogenic and sexual checkpoint along the road towards the rest of my life. I remember him playing the horn parts to “Sgt Pepper’s” on his guitar! I remember the deafening and painful silence after he finished his fusillade and in the crowd a mixture of rapture, gratitude, enlightenment and affection. “There were two women in the room,” recalls Altham. “One of them was a girlfriend called Devon Wilson and she was dodgy – she dealt him drugs and I can say that now because she’s dead. But he knew me well by this time and he seemed better than I’d seen him previously.” The interview is a remarkable one, utterly devoid of all the nonsense that would ensue about suicide and a death wish. On the tape, Hendrix laughs and jokes; he tells Altham about plans to re-form the Experience and tour England again. So it was, back in September 1970, that I made my way up Lansdowne Rise and round the corner to the Samarkand hotel after reading the news today, oh boy. I was amazed to have the pavement outside the address at which Jimi Hendrix had died that morning all to myself for a good couple of hours – not a soul. I went home, got some chalk, and wrote: “Scuse us while we kiss the sky, Jimi” on the flagstones (OK, but I was only 16) and retreated to watch. Nothing happened and after another hour, a man came out and washed the words away and I returned home to write a lament in my diary, which I still have, the Standard’s front page folded at the date. Speculations about suicide and murder are too ridiculous to contemplate – most of them are probably concocted in order to dramatise and distract from the awful reality of such a genius dying in this way – but what does matter are Kathy Etchingham’s reflections. “Jimi died because the simple things got complicated. He was born to a father who was an alcoholic and a mother who died and he died because he was in that flat in Notting Hill with a complete stranger who gave him a load of sleeping pills without telling him how strong they were. It’s as simple and as complicated as that.